Samsung, with its track record in innovation, has once again delivered ground-breaking technology set to revolutionise the laundry machine industry. The new Samsung washing machine with QuickDrive features a revolutionary laundry technology that reduces washing time by half with no compromise on washing performance – quickly and gently removing dirt, freeing up more time for consumers. Besides cutting washing time by 50 per cent, Samsung’s QuickDrive technology also improves energy use by 20 per cent without compromising the cleaning performance. Its unique Q-Drum consists of a large main drum and a plate in the back that rotates independently. 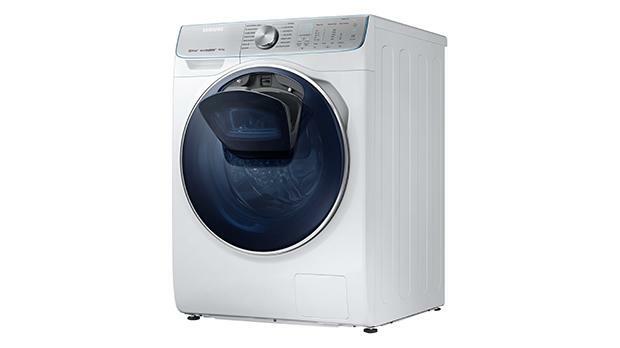 Unlike conventional washers that move clothes repeatedly up and down over the course of the cycle, the Samsung QuickDrive moves clothes from top to bottom in the drum, and the plate in the back of the drum introduces a back and forth movement. It creates a revolutionary dynamic action powered by double forces that quickly, gently and thoroughly remove dirt to deliver an intense and complete wash cycle. In addition, this technology was independently tested by Intertek, the world’s largest testing and inspection organisations, which confirmed that QuickDrive technology provides the same level of cleaning performance and fabric care as existing products, while reducing washing times. The new QuickDrive also has many of Samsung’s outstanding laundry technologies, like EcoBubble, which provides powerful washing performance by mixing air and water to generate fine detergent bubbles that penetrate fabrics faster and maximise the detergent’s effects even at low temperatures. The new QuickDrive also comes with Samsung’s innovative AddWash, a feature that gives users the ability to add items at any time during the cycle. From a forgotten sock to a delicate item that needs to go in later in the cycle, AddWash even allows users to add detergent or fabric softener at a later time. The new Samsung QuickDrive can be experienced at Sound Machine, Samsung’s local distributor.